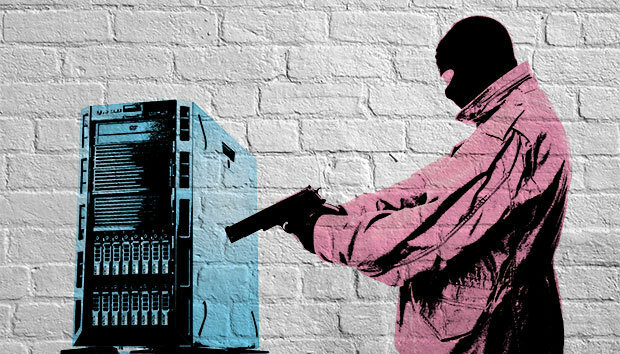 Ransomware is malware that encrypts a computer's files. Users are shown instructions for how to pay a fee to get the decryption key. The costs can range from a few hundreds dollars to thousands, payable to cybercriminals in bitcoin. Locky is a relative newcomer to the ransomware scene, which computer security researchers first saw over the last few months. It is primarily distributed through spam messages that try to trick people into opening attachments, such as fake invoices. But researchers have frequently found coding problems or weaknesses in ransomware programs. Locky is no exception. Sylvain Sarméjeanne, a malware reverse engineer with French computer security company CERT-Lexsi, wrote on Tuesday that he found several ways to "vaccinate" a computer against Locky. Sarméjeanne terms a vaccine as "any minor system modification which aims at blocking, without any user interaction, part or all of the harmful effects related to the execution of a malicious program." Locky has some weak points, some by design. For example, it won't execute on a computer that has its language settings set to Russian, which probably gives an approximate region of where its authors are located. That's not a practical tweak for most people, but Sarméjeanne found other changes that might work. Locky tries to create registry key called "HKCU\Software\Locky," Sarméjeanne wrote. If that key is created prior to an infection, Locky will stop running. He also found a second way to alter registry values that causes Locky to quit. A third trick involves manipulating a value that causes Locky to not encrypt files and only rename the files or the file extensions. His fourth vaccine tricks Locky into using a supplied public key for which the operator of the computer has the private key, allowing files to be decrypted. To be sure, tricks like these will only last for a while. Ransomware authors quickly improve their code, particularly after security researches publish weaknesses. In 2014, Jose Vildoza of Argentina discovered a problem with ransomware called CryptoDefense. He found that the private key needed to decrypt files was stored on victims' computers. Even though the private key was still encrypted, Vildoza collaborated with the security company Emsisoft to build a tool to recover it. CryptoDefense's authors quickly fixed the error.